I AM a caveman. My roots are in the Neolithic period. This is something I became aware of at an early age – even before watching Stig of the Dump on Blue Peter. That’s why I took up potholing as a teenager and became a tunneller in a slate quarry before getting a soft job in a warm office . . .
Cavemen have had a bad press. They are usually depicted as thick, uncouth, insensitive beings who can’t string two “ugs” together and knock women about with sticks. But really, they were as sophisticated, gifted, intelligent, erudite, and advanced for their time as we are for ours. They just didn’t have BlackBerry and Twitter. Mainly because they didn’t need them. 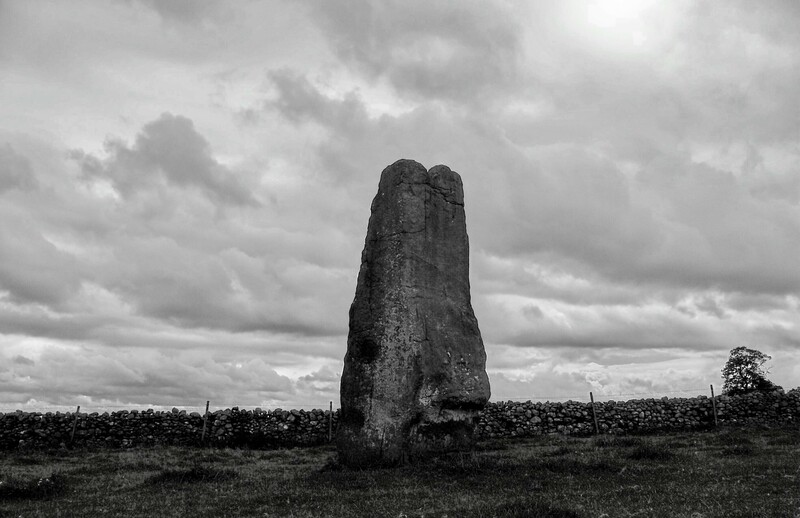 Today I’m drifting among the standing stones called Long Meg and her Daughters, which inhabit a hill on the outskirts of Little Salkeld, between the Lake District and the Pennines. I first came here in the early 1990s with a busload of archaeologists from Barrow-in-Furness. 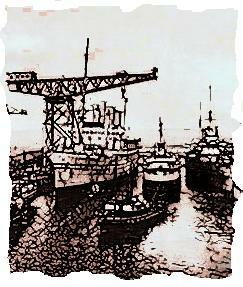 I was working for the North-West Evening Mail at the time and they invited me along to write a feature. It was a great day. We started at Castlerigg stone circle, near Keswick, moved on to King Arthur’s Round Table and Mayburgh Henge at Eamont Bridge, and ended up at Long Meg. The archaeologists on the bus trip could be divided into two groups. There were the traditional, stereotypical, trowel-clutching, wax-jacketed, grey-bearded, penny-spectacled, Balkan Sobranie-smoking, leather-hatted types. Then there were the tangly-haired, patchouli-scented, vegetarian, nose-studded, lip-studded, eyebrow-studded, New Age variety who joined hands around the stones and did things with crystals and magnets. Instead of polarising into two distinct camps, both groups took the micky out of each other in a gently English sort of fashion, which I found quite endearing. I’m back at the stones today because a couple of weeks ago I biked the Coast to Coast cycle route from Whitehaven to Sunderland. Towards the close of the first day I spotted the sign to Long Meg. It stirred memories and awakened the caveman in me. Not that it has been particularly dormant. Once a caveman, always a caveman. But I decided, there and then, to return the first chance I got. 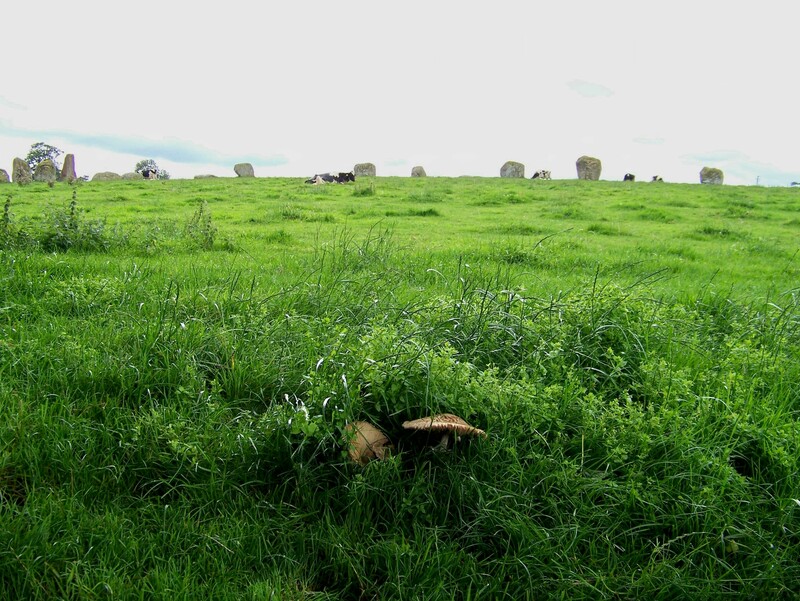 There’s a legend about Long Meg. She was a witch who was caught dancing with her pagan daughters – and the price for that, in those days, was to be turned to stone. Another legend maintains that the daughters cannot be counted accurately, and anyone trying to do so will arrive at a different number every time. With little sense of decorum or appreciation of the mystic, Wikipedia unhelpfully states there are 51. So no need to bother counting. Meg is a towering wedge of Permo-Triassic sandstone that stands in isolation outside the circle. While the elegant Meg is hewn from the local rock and has cup and ring carvings on her sides, pictured below, her daughters are less-attractive rhyolite granite boulders. The daughters form the circle, which has a diameter of about 350ft and is the second largest in the country. Today, only the cows appreciate the sanctity of this place. Thousands of years ago, in the late Neolithic period or early Bronze Age, or whenever it was these stones were dragged up the hill, Meg would have been the talk of every cave in the neighbourhood. 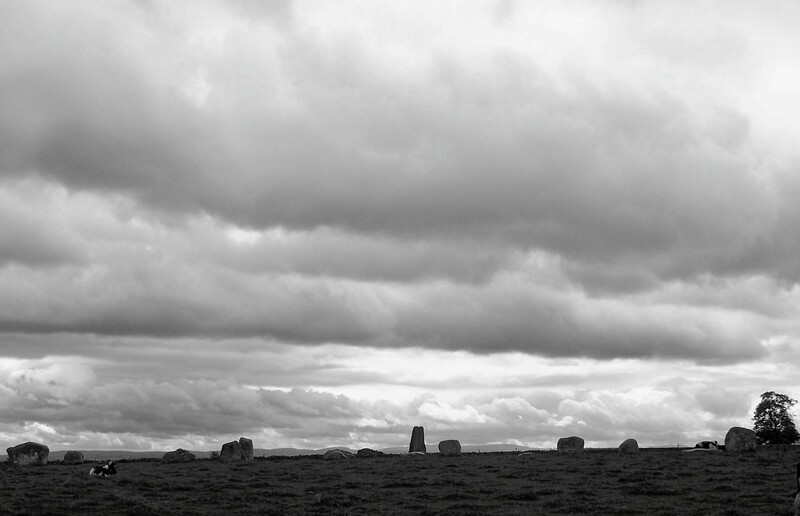 I stand here in the middle of the circle and gaze west to the fells and east to the Pennines, and around me at these impressive stones, and I marvel at the ingenuity, skill, vision, strength, passion and creativity our cavemen ancestors possessed. And I think: could we – we modern people – with our technical knowledge, enlightenment and sophistication, drag 52 large boulders to the top of a hill without a fleet of low-loaders and a couple of cranes? Could we carve a 16ft block of sandstone from a quarry face using tools we had made ourselves? How many of us can tell the difference between Permo-Triassic sandstone and rhyolite granite? 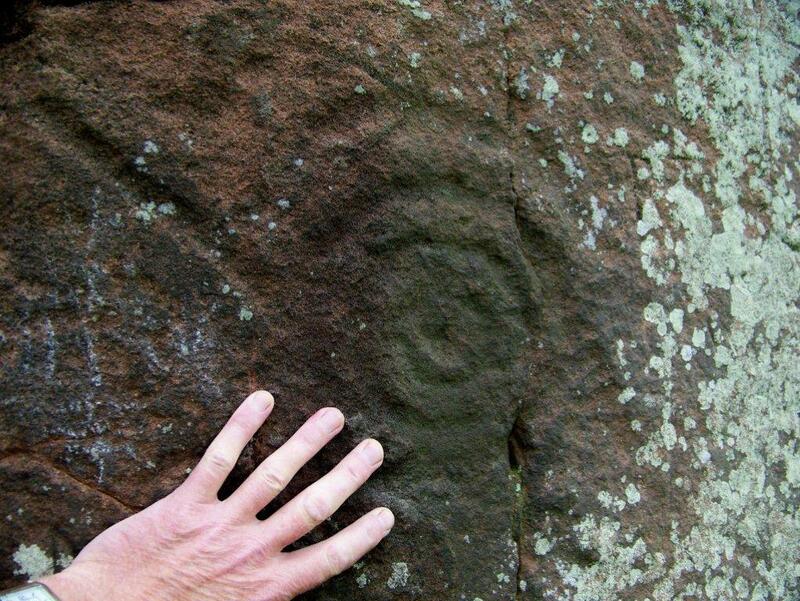 Who is capable, without resorting to the use of a theodolite and a bundle of digital equipment, of positioning several dozen megaliths in a circle and aligning Meg’s four corners to the points of the compass? And who has the skill to stand a lump of sandstone weighing several tonnes on its end, so precisely and firmly that it will remain in the same position for 4,000 years? And there’s a bigger picture – the henges at Eamont Bridge, the stone circles at Castlerigg and Swinside, and a hundred more the length and breadth of the British Isles and across into Europe. Their builders weren’t low-browed hunter-gatherers with bad attitudes and tangled beards; they were mathematicians, engineers, astronomers, artists, poets, craftsmen, artisans, managers, administrators and architects. They could move mountains – and they did. They had a society – a Big Society – that was organised and had purpose. 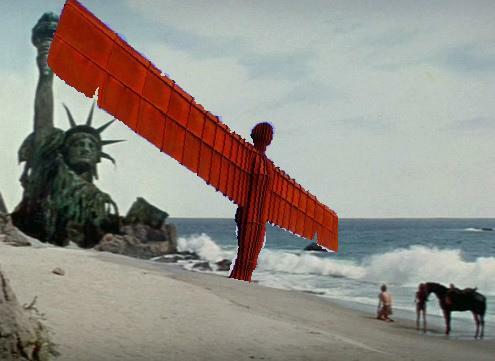 And they left a legacy that was so permanent, so rooted in the earth, that it will still be visible when the Angel of the North has turned to rust. Cavemen. Don’t knock us. Join us. This entry was posted in Archaeology, C2C, Cycling, Environment, Geology, History, Mountains, Quarrying, Walking and tagged Lake District, Pennines, The Lakes. Bookmark the permalink. I hadn’t realised that you were a fellow cyclist! Well, I don’t have a Blackberry or Twitter but my wife says she thinks I was Celt in some former life which makes me smile because I think she might be right. We too really like to visit such places and went here a couple of years ago on a walk which included a visit to Addingham Church to see the Celtic cross. All very atmospheric but I didn’t know about the legend. Last Xmas I went here http://colingriffiths.blogspot.com/2011/01/goggleby-stone-shap.html and also enjoyed a very interesting walk across Crosby Ravensworth Fell to visit it’s various relics. I’ve a copy of “Walks In Ancient Lakeland” by Robert Harris that I’ve found useful, though I’m sure there must be other books too. I didn’t know what a Blackberry was before the riots started. Yes, I’ve been out on the bike this week, up to the Tan Hill pub. I’ll do a post on it because it was an eventful ride. Thanks for the link, and another of your memorable pictures. I’ve never heard of the Goggleby Stone, and I worked for a quarrying firm in Crosby Ravensworth for a period. I thought I knew the area quite well. So that one got under the radar. Interesting read – I haven’t been to Long Meg yet but it is on my ever increasing list of places to visit, your article has reminded me that I must go and have a look myself and sooner rather than later. Just down the road from you and another good place for cup and ring marks if your interested (no ancient stone circles though) is Barningham Moor near the Stang Forest. Best time to visit is in winter or early spring when the bracken and other vegetation is at its lowest. Hi David. Thanks for that information. I didn’t know about the cup and ring markings you mention, and coincidentally, I’ve just been through Barningham and over The Stang on my bike (see above comment). I’ll put that on my list of things to do. I’ll just add something to this while we’re on the subject. Teddy Tour Teas goes into the origins of cup and ring marks in great depth in his Yorkshire Dales blog. There is a very interesting piece if anyone’s interested. Cheers David. I don’t know how to do them either. They just appear. I’ll have a wander up there in the near future.